I-275 to Taylor Mill exit. Pride Parkway to Right on Lakewood Dr. Right onto Robertson Road Right onto Morning Glory Road, second home on the Right. 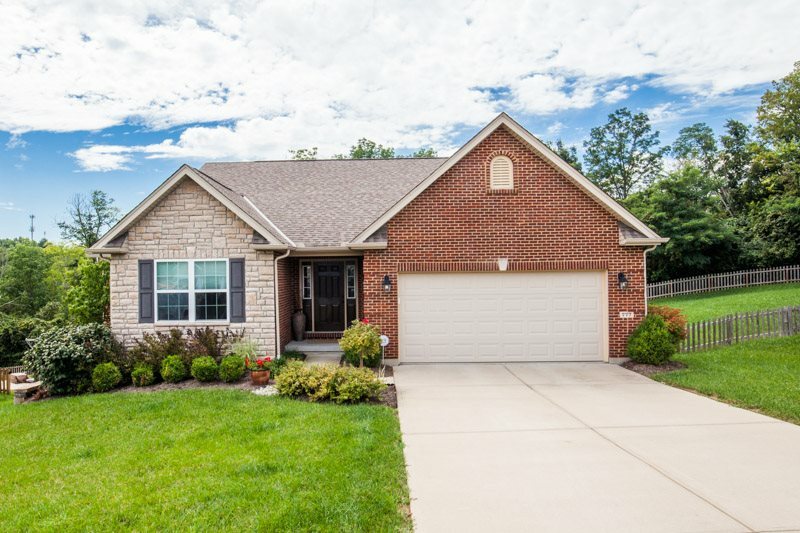 Very IMPRESSIVE 4 bed, 3 bath full brick and stone ranch home! Open flr plan* Beautiful custom kit w/granite count tops* 42" cabinets* Huge master with adj bth & walk-in closet*new lite fixtures*recently painted*finished LL w/ $5000 in new carpet* wet bar* $2000 in state of the art surround sound system 120 in tv*walk-out to stamped concrete patio*huge custom deck* perfect location*1 yr HW!